If you look carefully, there are leftover tracks from car tires on the road of the Village of Hobbits. However, it was only Gandalf who passed on this road. Could he be using modern wheels in these off-road conditions? He is a magician after all. 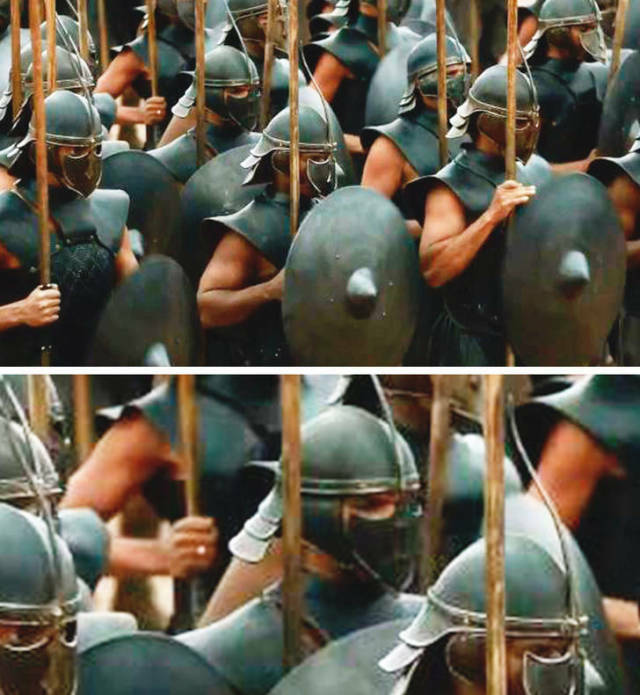 Eunuchs are the best warriors. However, one of them turned out to be married. Perhaps he simply likes jewelry and his ring has nothing to do with marriage. 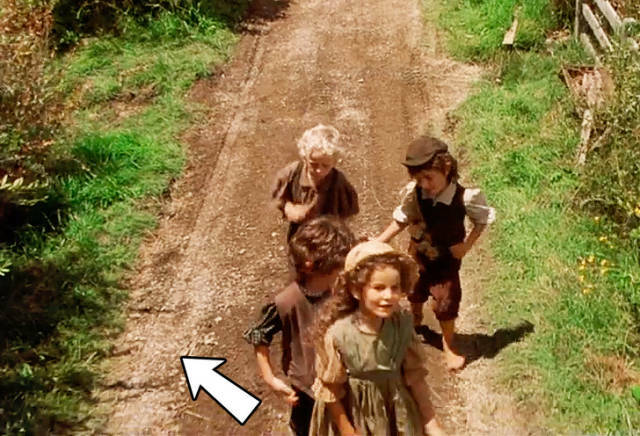 How is it possible that viewers noticed a bottle of water in this scene while specialists working on the film didn’t? However, this was actually good for the characters of this TV series — their conversation was long and fresh water could’ve been very refreshing for them. In this film, Leeloo was supposed to break the unbreakable glass. Attentive viewers noticed that the area of the hit had been marked before, which lessens the impressiveness from this spectacular moment significantly. When Beverly was being chased by the other girls, she extinguished her cigarette. At this moment, the angle of the camera was changed and she was shown from above. Surprisingly, the right hand that put the cigarette out had changed to the left one. Also, when Eddie fell on the floor in the cursed house, his arm was still okay. 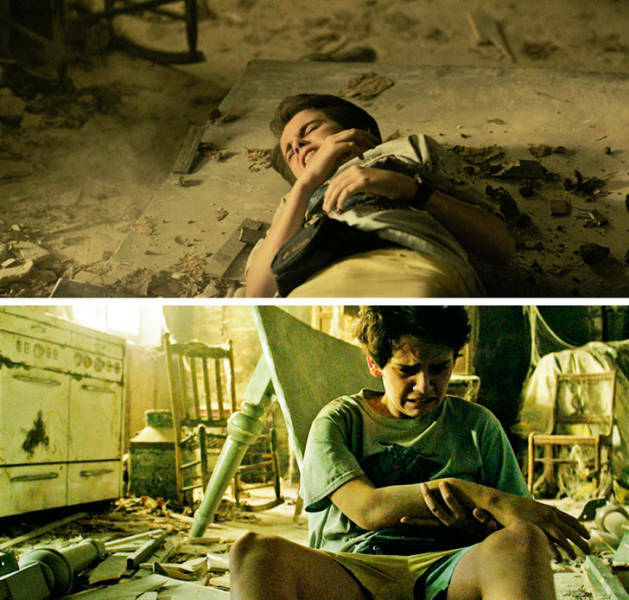 But when the camera showed him in the next scene, his arm was already broken and seemed to have become much longer. The action takes place in 1989 but the drugstore shelves had modern cosmetic items. For example, the packages of Nivea creams that appeared in this scene were only designed in the 2000s. 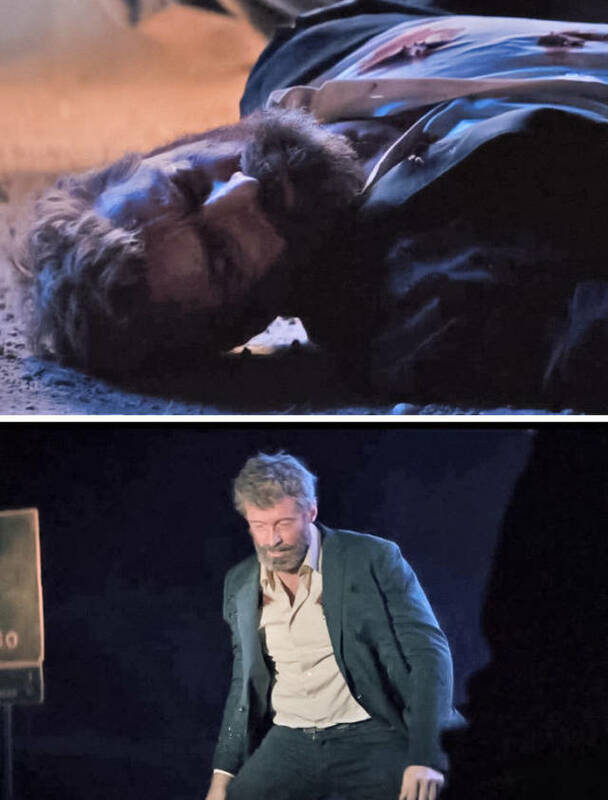 When Logan was shot at and fell down, it could be clearly seen that his shirt had many holes. However, when he got up, his shirt looked like a brand new one. Despite being paralyzed and immobilized, Xavier managed to change seats during a frame change. 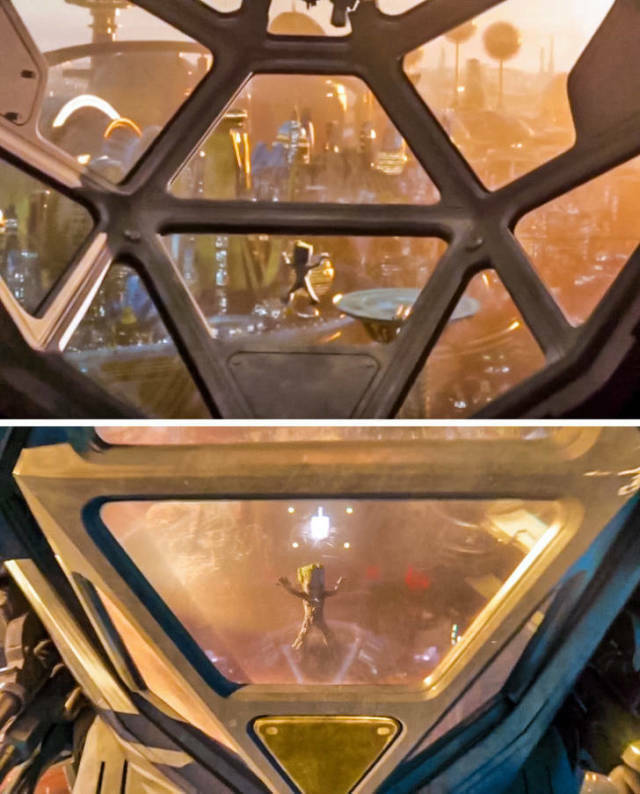 In this frame, Baby Groot is looking out from the window of a spaceship and it’s clearly noticeable how he changed his location. It seems he went down significantly. Moreover, the size of the glass changed too — it appeared much larger. 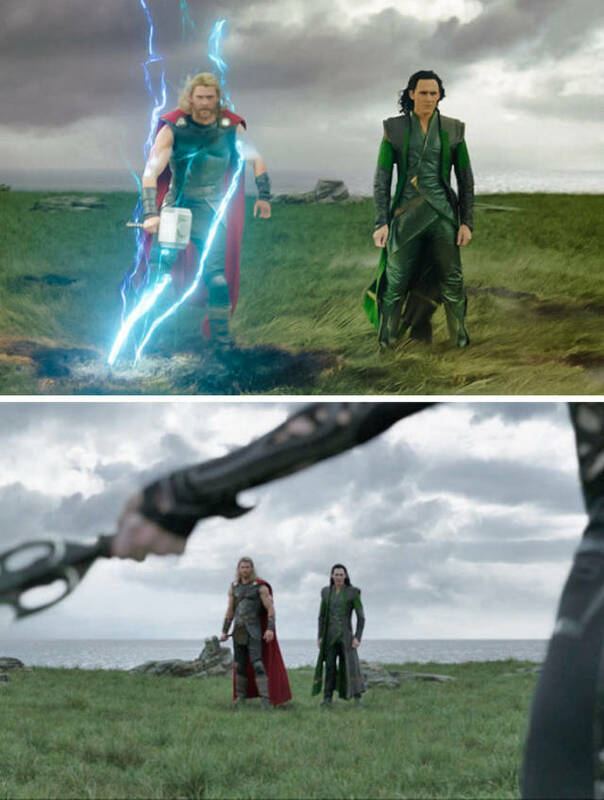 When flashes of lightning were brewing around Thor, the grass beneath his feet started to burn. A minute later, it miraculously regenerated and became green again. 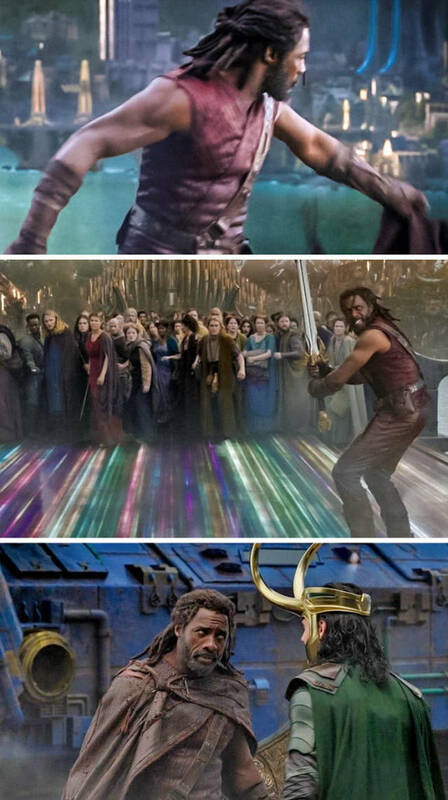 While on the bridge, Heimdall took off his cloak and threw it aside before the fight. The cloak disappeared from the bridge making viewers assume that it fell down into the river. 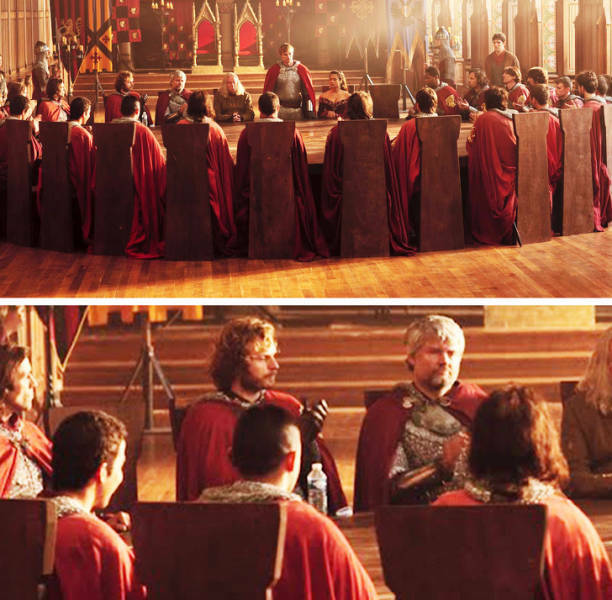 But in the next frame, Heimdall was again wearing the same cloak while talking to Loki. 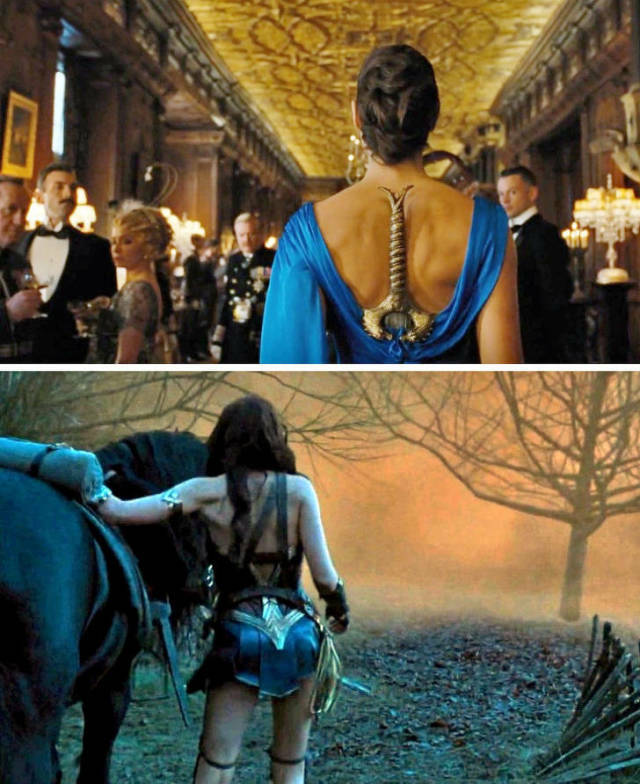 Diana was wearing an evening dress with an open back at the ball. She could hardly hide anything in there. But when she left the event and took off her dress, it was revealed that she had the full ammunition of an Amazon underneath the dress. 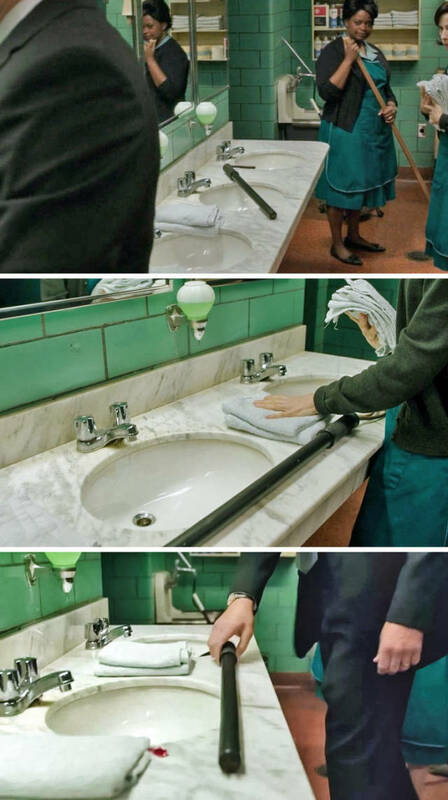 The lead of the movie’s stick keeps changing its position in the bathroom, however, none of the other characters touched it. Moreover, at the end of the scene, there appeared to be blood on the sink that came from this stick — but it hadn’t been there before. 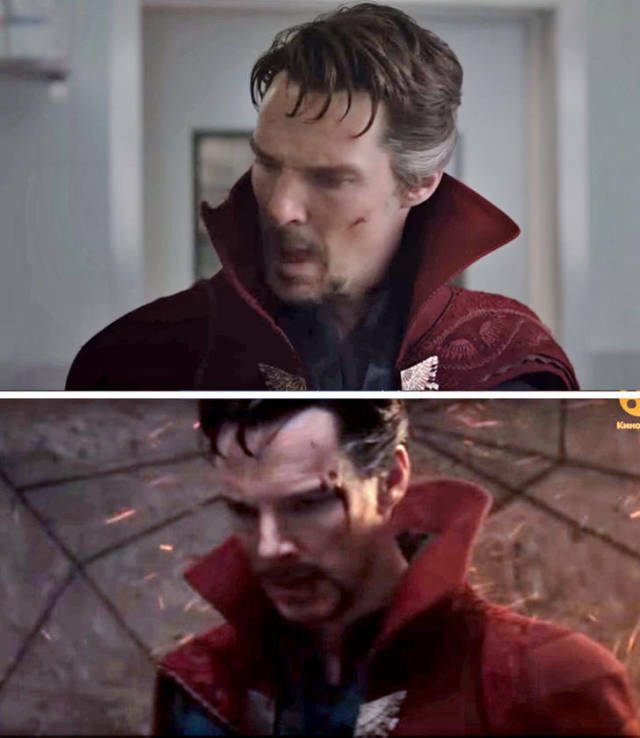 When the doctor is looking in a mirror having a quarrel with his cloak, he is okay and doesn’t appear to have any wounds except for one scratch on his cheek. But when he goes outside, there appears to be blood on his left temple. 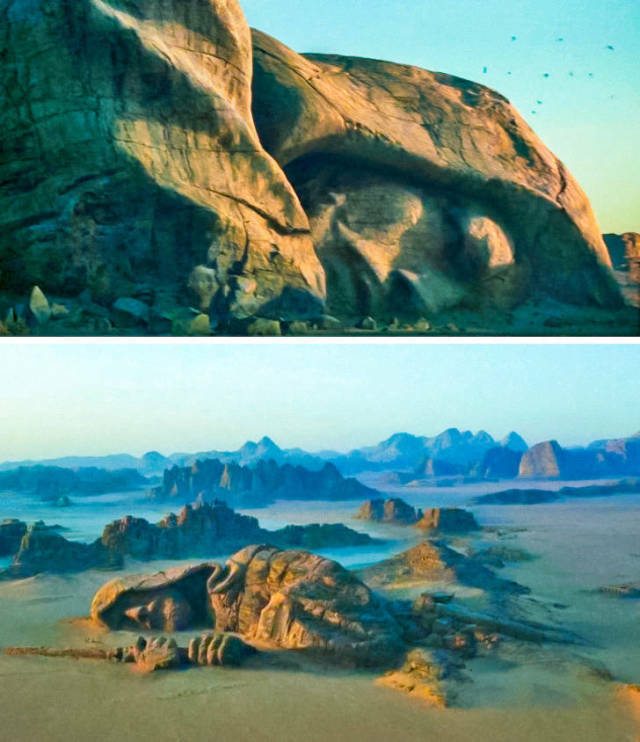 It seems that the monument of the Jedi is magical and has superpowers that can change its location. At least this version could explain why it looks to one side first and then to the other side later. At the entrance to the zoo, it can be seen that a part of the wall is missing only on the left side. 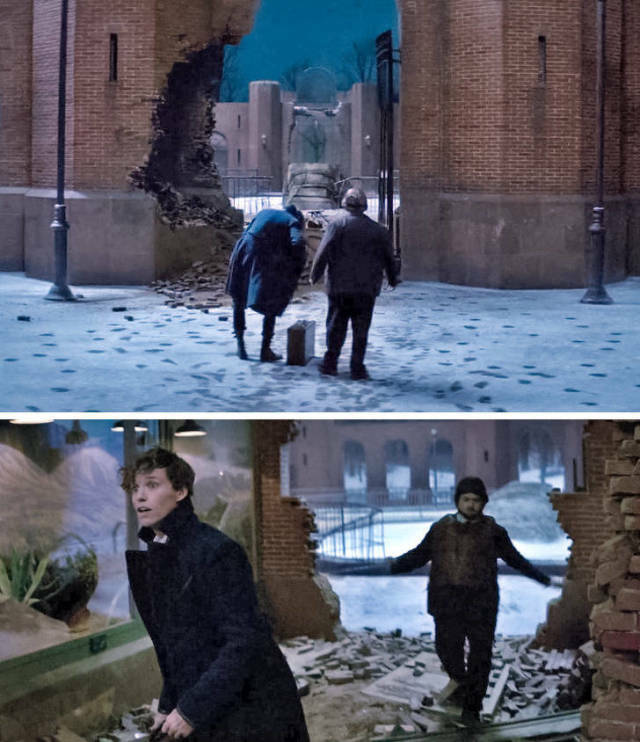 However, when the characters enter, it can be seen that the wall has more damages — in fact, it has been destroyed from both sides. 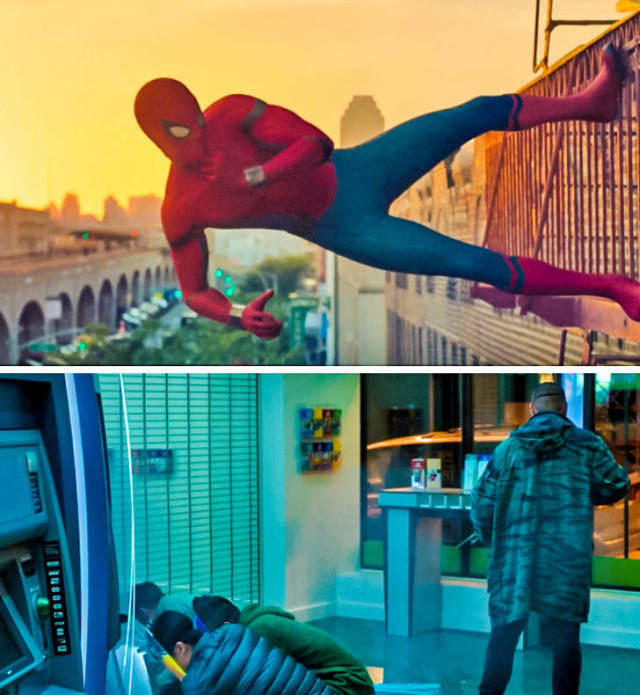 When Spider-Man was chasing criminals, it was twilight time outside. But a couple minutes later when he got down to them, it was already dark. 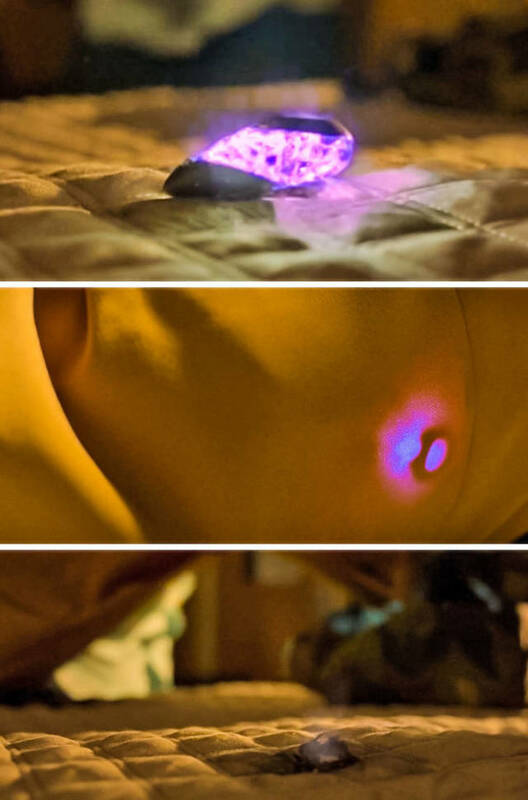 The power core looks very hot — it has left a smoldering mark on the bed. Despite this fact, the main character could hold it in his arms without getting burned. 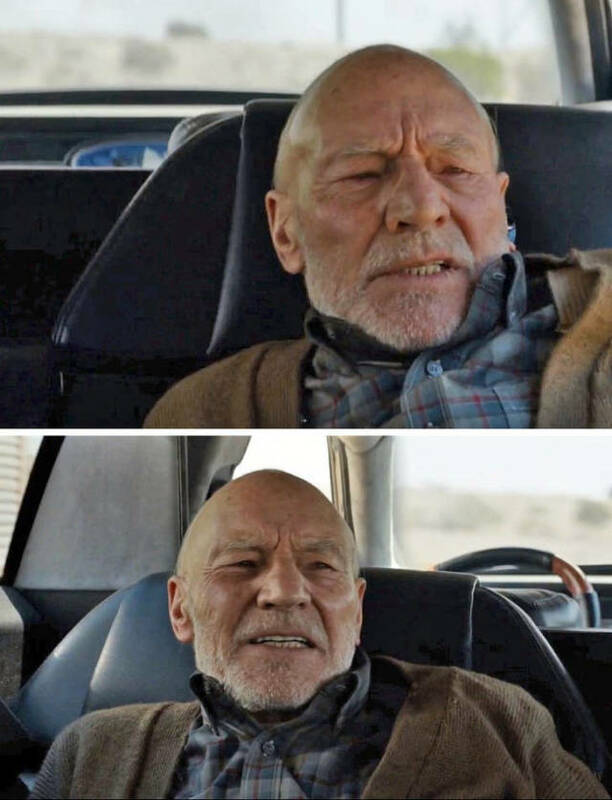 Moreover, it didn’t damage the pocket of his jacket in the following scenes. 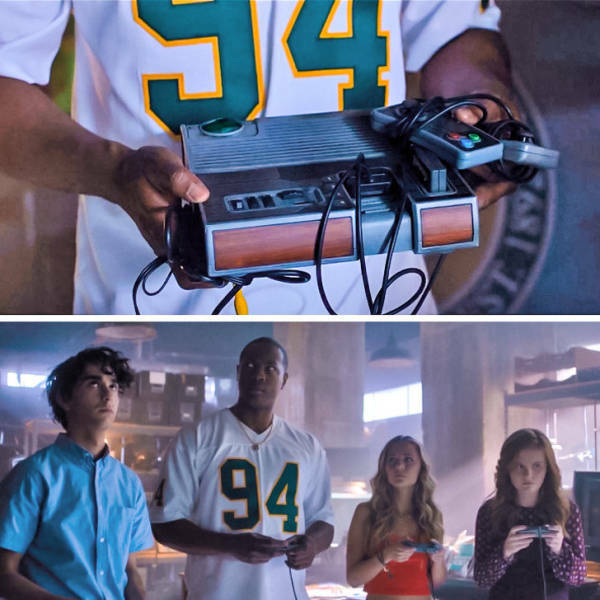 In this frame, we can see that the Play Station has only 2 joysticks but eventually, 4 people were playing it. Magic! #16 It's not the same monument.